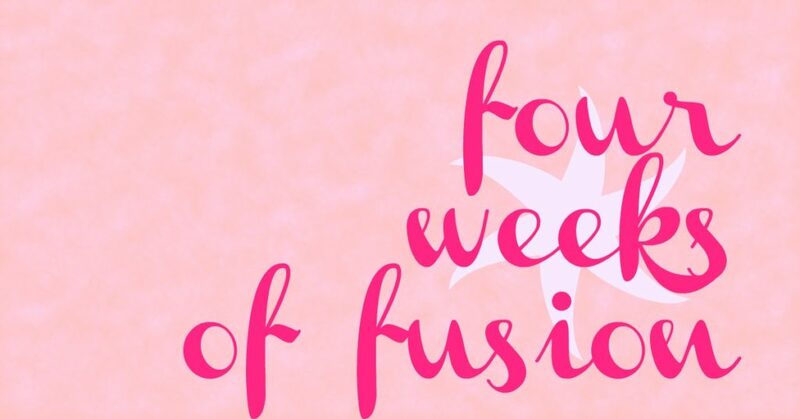 Join us for Four Weeks of FUSION! We love fusing together multiple elements together in one session in order to maximize your time and the benefits of every workout! And, while almost ALL of our workouts offer more than one modality (i.e. cardio + strength, brain exercises + aerobic conditioning, pilates + yoga, etc), we thought it would be fun to focus on the added benefits fusion focused training can bring to your regular workout routine this month. FUSION (n): a merging of diverse, distinct, or separate elements into a unified whole. If that sounds good to you, we’d love to have you join us for this four week rotation! You can follow along using just our FREE YouTube vids (thanks for remembering to SUBSCRIBE to our channel!) and/or with our DVD/digital programs, whatever fits your needs and preferences best. We’ve made suggestions for both for this plan, so please feel free to mix and match as you see fit. We also have a brand new, FREE 30-Minute Fusion Sculpt workout for you on our YouTube channel that we’ve included in this month’s rotation [you’ll see it included in the schedule below!]. And, in addition to your daily fusion session, don’t forget your daily dose of Vitamin W — WALKING! Our general recommendation is to aim for 10,000 steps (or more) daily , but if you are starting out well below this number, please add in more steps gradually so you don’t overdo it! Already at 10K a day? Awesome! Feel free to increase your steps and/or work on maintaining your daily goal. Choose from a variety of our FREE 1-Mile Walk n Talk sessions or Walking Workouts here on our YouTube channel, and/or use some of our DVD/digital walks [all of our mileage DVDs make it easy to fit in your steps – 10,000 is the rough equivalent to 5 miles!] to reach your daily goal. WHY Walk, Walk, Walk? Extra walking increases your daily activity level (which equates to less health-damaging sitting!) without you having to ‘exercise’ more. And, some research shows, it may help you manage stress and anxiety better. One study found that participants who walked 10,000 steps a day had lower levels of anxiety, depression, anger, fatigue, confusion and total mood distress scores. Finally, don’t forget that SOMETHING is always better than nothing. On those crazy busy days, or when you just don’t have the energy to do more, check out our 10-Minute-or-Less video playlist and 1-Mile Walk and Talk sessions to help keep you moving when life gets in the way. Here is your suggested weekly workout line up for the next four weeks (feel free to start your week off with Sunday or Monday as Day 1 – whatever works best for you). As always, we encourage you to adjust the plan as you see fit to best better your personal needs and preference (please see the FAQs below for additional assistance). Do something you enjoy that keeps you moving but that doesn’t feel like ‘exercise!’ Play an outdoor sport with family, volunteer to help at a local shelter, go for a hike with a friend, etc. *be sure to count these towards your daily step count total for the day! We know that not every workout works for every body. The great news is we have a huge library of workout options available (which can sometimes make it hard to decide what to do!) that offer options to simply or advance the moves, but the daily recommended workout is just that — a recommendation. But, because we’re all working at different levels of fitness with various needs and preferences, we want you to decide what works best for you! You can follow our weekly suggested schedules as a loose guide and feel free to sub in any of your favorite YouTube videos, DVD or digital workout programs. Too hard? If you are new to exercise or starting back up after a long hiatus, remember to listen to your body and go at your own pace. You may want to sub in one of our more beginner friendly routines any day you find the recommended one a bit too much. Prefer no floor work? Feel free to choose from our vitally floor work free “Walk On” series options [we also have a lot of floor work free or standing only YouTube video options as well]. Too easy? If you have been keeping up with your workouts and going strong all holiday season long, feel free to amp things up by using our advanced modification options, increasing your weights during strength training, or, even adding on additional workout time if that feels right for you. And, please keep in mind that there are several days a week that purposely have you training in your endurance zone, a more moderate intensity that while it may feel ‘easier,’ still offers big health benefits. We are all about you making this plan work for YOU, without a lot of muss or fuss! What if I miss a day (or week)? No big deal! Simply pick up where you left off — there’s no need to start over or feel guilty for not adhering exactly to the schedule [this is NOT an all or nothing program!]. Stay flexible and get back at it as soon as you can. Please remember consistency is key, and our motto is SOMETHING IS ALWAYS BETTER THAN NOTHING, so just do the best you can with what you have, every day. It’s the little daily steps that add up to big lasting results. And for those crazy busy days, or when you just don’t have the energy to do more, check out our 10-Minute-or-Less video playlist and 1-Mile Walk and Talk sessions to help keep you moving when life gets in the way. You may want to join us for one of our complete programs, try our updated master rotation calendars, or put together your own personal plan using our plug & play weekly suggestions here. In case you missed it, or want to repeat it, our 28 day Jump Start plan is also available here. All you need to do is follow along our suggested schedules (making adjustments as needed to meet your needs, of course). We also recommend inviting a friend (or two) to join you and/or checking in with the rest of our community so that we can all help cheer each other on and offer support along the way! Feel free to check in with us and the rest of our community on social media (be sure to tag @JESSICASMITHV) — we’re all in this together! I’ve loved the last two months. Hey Jessica! Will you be doing a workout month for March? I love these month long plans. Anyone know what to log workouts as on MyFitnessPal? Just done Day 1 of the Fusion Feb. Thank you for Fusion February! I have a few of your videos and have really enjoyed the variety of this playlist! I am so much more motivated when I am checking off all the days of the challenge! Love what you do, Jessica!! Please do a march madness , your workouts start my day off. Make me push myself, and I would miss Peanut. I’m doing Jump Start January in February and will do Fusion February in March…but I’m begging you to do another challenge playlist I can do after I’m done! I have LOVED following your YouTube options for the month and am really seeing results. I find doing a different video each day and no repeats in a month really help keep me interested and performing my best… no slacking off or getting bored! Please please please do a March challenge! I enjoyed January Jumpstart and I am having so much fun with Fusion February and can’t believe that I will be on day 17 tomorrow. The days and weeks are passing by so quickly and it is so easy to fit in the routines because of the variety. It is so exciting to click on the day and discover or rediscover old favourites. I particularly am loving the ballet inspired routines at the moment and the yoga and stretching. I am so grateful to Jessica for these monthly programmes, her YouTube videos and marvellous professionally produced downloads too. February is usually dark, cold and dreary but four weeks of Fusion in February has brought light and excitement this year. 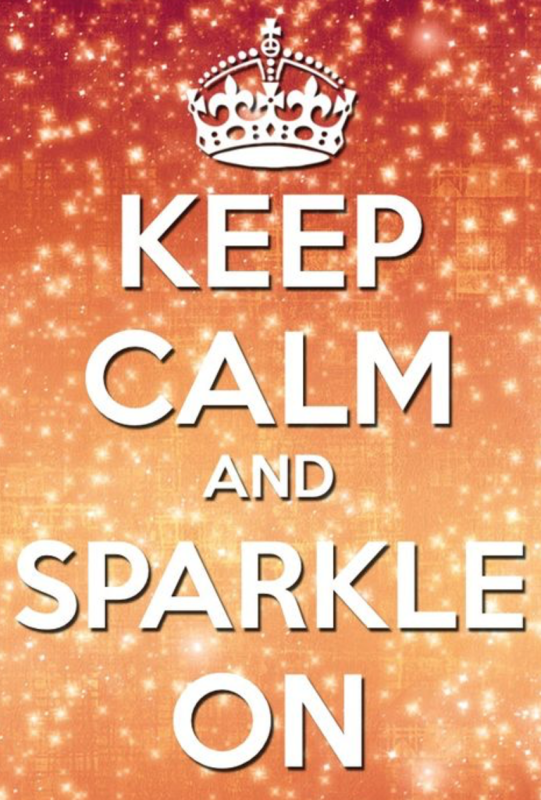 Hello Jessica, thank you for providing the January jumpstart challenge and February fusion challenge!! This is the first time I’ve ever done any fitness challenges and I’ve enjoyed completing the one for January, Plus I am a huge fan of yours and have been doing a lot of your YouTube workouts the past several months. Will there be a challenge for every month? If so, how do we find out? Thank you Jennifer S. for the printable calendar for Fusion February! It works out great!! Thank you Jessica for all your great workouts and DVDs. Yesterday Day 1 and Done! Looking forward to completing this February Fusion Challenge! LET’S DO THIS!! This is great! Thanks for the monthly challenges! I was going through the YouTube videos and noticed that Day 12 30 Minute Ballet Body Sculpt and Day 26 30 Minute Stretch and Strength both say “Video Unavailable” when I try to play them. Is there anything that can be done to fix this? Sorry about that! Thanks so much for letting us know. Unfortunately, YouTube has blocked a few of our videos due to music licensing/copyright issues so we’ve had to make some updates to the schedule. All links should be working now (please be sure to clear your cache if you are unable to see new links). I just finished the January 28 day challenge. This is my first time completing a challenge and yes, I am proud of myself! Now, I’m going to do the February Challenge. The Fusion workouts are great – they just make me smile and feel good (even though they are sneaky and really work all my muscles)! Thanks Jessica! Am I missing the calendar printout? It would be great to print it out and post it on my refrigerator and check off the completed days. Just finished day 1. Really like the you tube variety. Thank you so much Jessica for providing the January 28-Day Challenge. I looked forward to working out with you each morning in January and am excited to start the Fusion February workouts tomorrow. You are such a good instructor and you inspire me to keep moving and focus on wellness through your videos and 1-Mile Walk and Talks. Hugs to you and Peanut! I love these monthly workout plans. I know we are just entering Feb but please plan to produce them monthly throughout the year. Thanks Jessica. Love your fitness principles and your non-judgmental attitude! The workouts are spot-on and Peanut is awesome! Thank you and please keep ’em coming! Thanks so much! I really loved the January rotation! It’s great to have this to fall back on when the weather is too cold. So eggscited for Fusion February! Finishing up the 28 January Jump Start Challenge this weekend…thank you again, Jessica! Lets DO THIS!!! thank you! Loved the January program and looking forward to February’s!! Yay! Thanks for keeping us moving, Jessica! I love that you produce these workout plans. They are fun to do and look forward to them. Thank you, thank you, thank you! Fusion is my favorite type of workout. I work out with you every morning, Sunday-Friday (usually all I can fit is 30-35 minutes), and I usually end the week with one of your fusion routines. (It’s like telling myself, “You’ve made it up the hill–both with exercise and at work–and now you can start to come down…a bit.”) Besides that, I love the dance influence moves, and I imagine myself a ballerina (an aging one, but still…) 🙂 Thank you for all you do to keep us moving and motivated. I found your workouts on YouTube in November. So thankful!! I’ve been loving the January workouts although I’ve missed some due to illness. It’s so helpful to have specific programs already picked out to follow. Thank you so much for continuing on into February with Fusion! January Jumpstart was awesome and I can’t wait to see February’s schedule. Thanks so much! I’m excited, too! January Jumpstart was awesome. I’m glad you’re posting monthly workout plans again! So excited to start a new challenge. Last month was fun and I’m beginning to see some changes. Don’t wanna stop now, so I’m happy to hear you have something new planned for us. I just love 2 in 1 type of routines. Can’t wait to see the full programme for February. I started the January challenge late myself, but I am loving it!!!!! 🙂 You should give it a try! Thank you for this recommendation! This sounds perfect! I can’t wait to start this Saturday! This is the best news I have since I started the January jump start, I love not having to decide on a workout, I just follow your plan and feel so much better from doing so, thanks Jessica. I just found your workouts and they are perfect for me! I see there was a January challenge I missed out on, so I’m excited to try out the February schedule! You are awesome Jessica! I love having your schedules so I don’t have to spend time deciding on a workout. I feel so much stronger already through the 28-day jump start, looking forward to more. Thank you!! Yay! I’m loving the mix of youtube and paid programs…keep these ones coming please! Of all the online/video trainers I have followed, I find your programs to be by far the most well balanced, so thank you! Can’t wait to give this a try! I missed the January challenge but have been using your videos the last week to get back into a routine of moving this old body. I ❤️ challenges from Jessica! Thanks for making two in a row! Yay! I love your fusion workouts Jessica! I cannot wait! That’s great!! I look forward to the new schedule for February!! Thank you! This just made my day!!! Thank you Jessica!